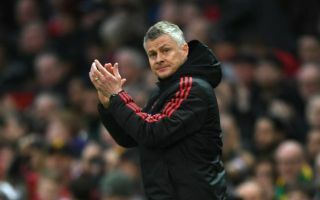 Manchester United manager Ole Gunnar Solskjaer is reportedly eager for the club to seal the transfers of three top young talents in Joao Felix, Ruben Dias and Bruno Fernandes. The Norwegian tactician is preparing for his first summer transfer window in charge of the Red Devils as it seems to be becoming ever more of a foregone conclusion that he’ll get the permanent manager’s job at Old Trafford. And it seems youth is a priority for Solskjaer as the Daily Mirror link him strongly with Benfica duo Felix and Dias, and Sporting Lisbon midfielder Bruno Fernandes, who could cost a combined total of £250million. The report goes on to explain that moves to sign all three in one go for that kind of money may be unlikely for the moment, but it gives an idea of what Solskjaer is after for next season. While his predecessor Jose Mourinho preferred experienced players, it’s clear Solskjaer is ready to build a team for the future, having also done well to promote players from United’s academy in his short time as interim manager. Tahith Chong, Angel Gomes, Mason Greenwood and James Garner have all been given chances under the former Molde boss, and if the club could secure the services of exciting talents like Felix and Dias, they’d be very well set up for the future.